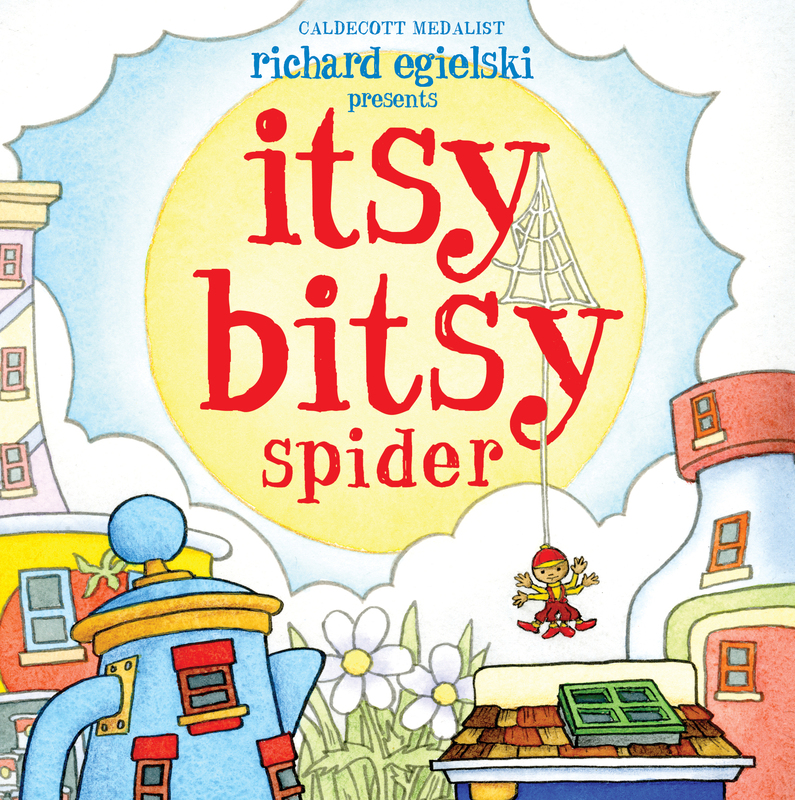 If you think you already know the story of the itsy-bitsy spider, think again. From a Caldecott medalist comes a dynamic pop-up interpretation of a classic song. Every child learns the song as a toddler, but they’ve never seen it this way before! Caldecott medalist Richard Egielski brings “The Itsy Bitsy Spider” vividly to life with intricate paper constructions on every page: the baseball-cap-wearing spider literally climbs up the water spout, and is deluged by raindrops for “down came the rain.” And when the sun magnificently reappears, the spider happily resumes his climb—up to Mama! Ideal for fans of Robert Sabuda, this pop-up creation brilliantly captures the resilient spirit of a timeless tune and belongs in every child’s collection. Even Miss Muffet would welcome this spider into her library. 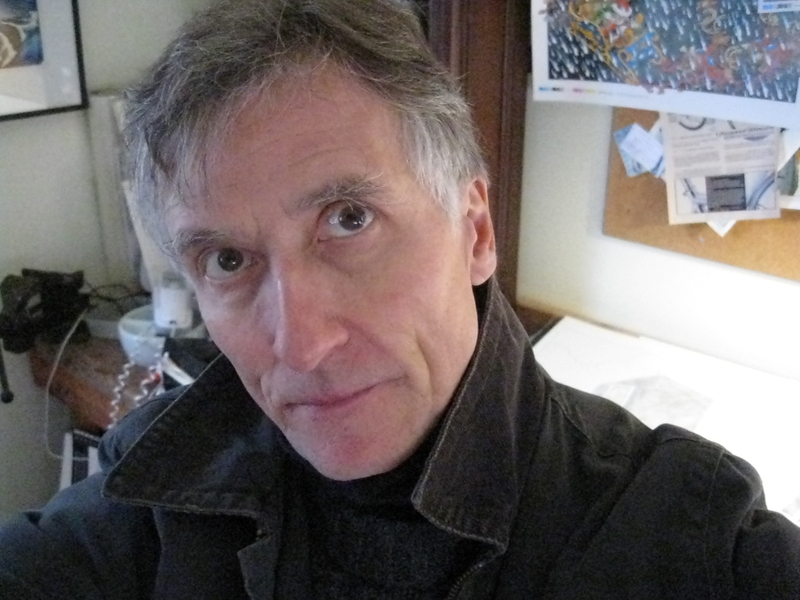 Richard Egielski received the Caldecott Medal for his illustrations in Hey, Al, written with Arthur Yorinks. His other books include Gumption by Elise Broach, and Buz and Jazper, which were chosen as New York Times Best Illustrated Books for Children. He lives with his wife and son in Milford, New Jersey. * "Slight of text but ingenious of art and paper engineering, this iteration of the familiar hand rhyme creates a storyline and a humming urban neighborhood in six pop-up spreads. Depicted as a brown-skinned, overalls-clad child with extra sets of arms and legs, the tiny spider is barely noticeable at the outset as he strolls along past a pop-up apartment house and a storefront—each of which offers engrossing glimpses through a doorway and windows of a busy, mixed population of people and bugs. Subsequent openings pull up the requisite drain spout, then bring out puffy clouds (with faces) dispensing a flurry of raindrops (ditto), leading to the washout, a big sun rising up and, at last, the spider’s delayed arrival at a homey rooftop web. Egielski fills every square millimeter with bright colors and crisp, often-fanciful detail—some of the buildings in his streetscape are constructed from jars and kitchen appliances—and plays with scale by adding, in some scenes, full-sized leaves or human pedestrians. The visual rhythms are enhanced by pieces large and small that rise or slide sequentially into place as the spreads widen. Like the song itself, this terrific miniepic bears, and demands, repeating." "Egielski goes way beyond the waterspout with this charming pop-up adaptation of the familiar nursery rhyme, creating a cozy world of buildings made from tin cans, saltshakers, and teapots, populated by a cast of well-dressed urban insects. Readers can watch the spider--a boy in many-legged overalls, yellow turtleneck, and red cap--disappear up the waterspout, and when the rain washes the spider out, children get a gutter-level view, with the water and spider tumbling outward from the page. Even readers who know this brief rhyme by heart will happily lose themselves in the spider's friendly hometown."